“Life’s too short to carry an ugly pen!”™ So why not carry a Tornado? This statement is more than just a catchy slogan. It embodies who Retro 51 is, as well as the central theme of our mission. After more than 20 years in business, we’re still dedicated to providing you more than mere writing instruments. 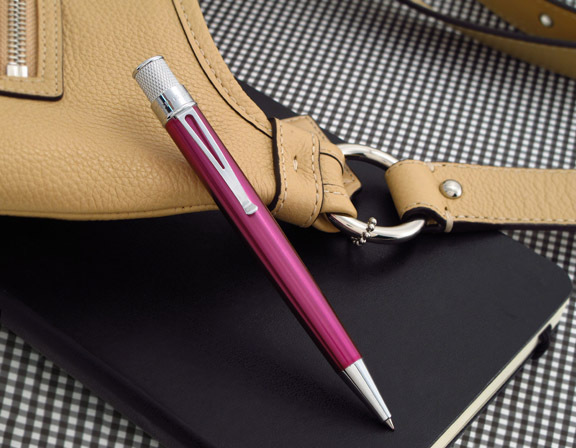 We offer you the accoutrements of life, one fine writing accessory at a time. Like your clothing and other accessories, the pens and pencils you use can also be viewed as an extension of who you are. 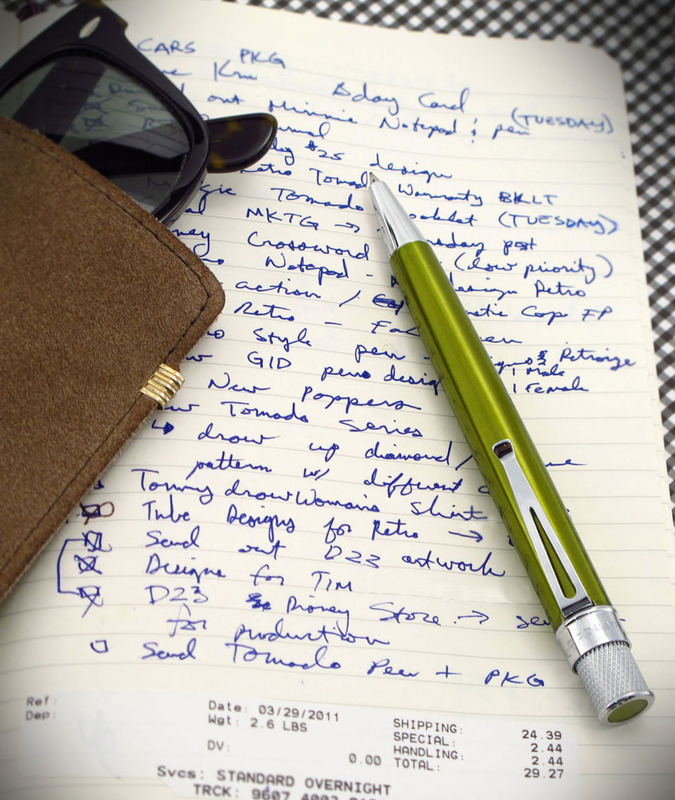 So why carry an unattractive writing instrument when there’s a full line of quality products that embody superior craftsmanship, sophistication, and a style all their own? Introduced in 1997, the Tornado has literally taken the world of gifts and pen accessories by storm! Available as a mechanical pencil, fountain, ballpoint, or rollerball pen, “this pen will blow you away!” ™ While originally only offered in blue, black, and red lacquer, it’s now available in almost every design and style imaginable. From Crosswords & Sodukus, to Big Shots and Exotics, we have a Tornado with your name and personal style written all over it. We’re always exploring new ways to bring the best quality products to our customers around the globe. But as our name implies, we’ll always stay true to the classics, including the Tornado Collection. So what are you waiting for? Accessorize your life. Check out the Tornado Collection today! Retro 51 is a great site and I love the ugly pen slogan! Can you tell me though … is the retro 51 anything to do with 1951 ? I signed a receipt at The Art Study with this pen and I should have bought one then because I cannot stop thinking about it. I’ll have to make a trip back to the U Village (Seattle, WA), this pen is making my life.